Greeting Stampers! 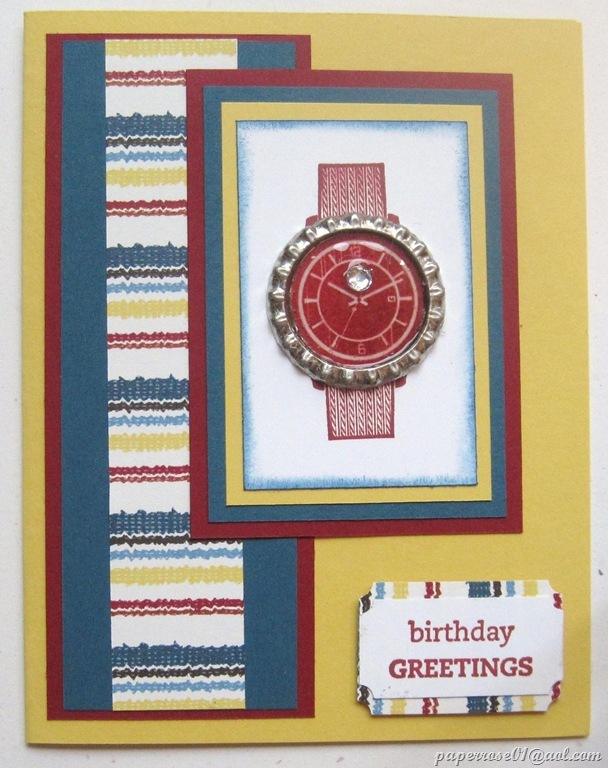 Let me introduce myself – I am your newly retired Stampin’ Up Demonstrator. Well, that doesn’t make much sense! I’m not retired from Stampin’ Up, I’m newly retired from UnitedHealth Care. I will admit that at 4:58 PM on Friday, May 31st, I became a little misty eyed as it was almost time to turn my office lap top off for the last time! But the lap top is off, and a new chapter in my life has started! Another card we chose for our Mostly Male Stamp Camp is from the “Zoo Review” Stamp Set. 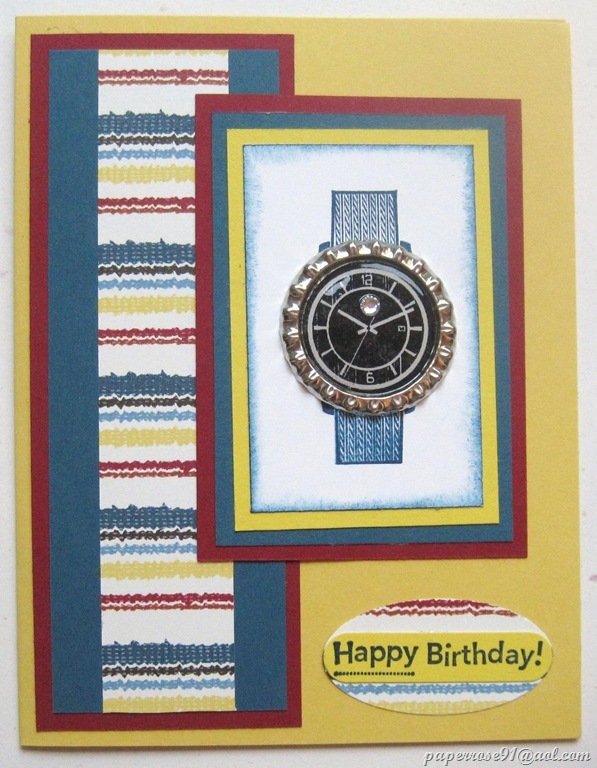 This masculine card has a very interesting background technique, although the picture here does not accurately show the colors Deb used. The Basic Black card has an overlay of Whisper White which is covered sporadically with Chocolate Chip punched out Curly Labels. 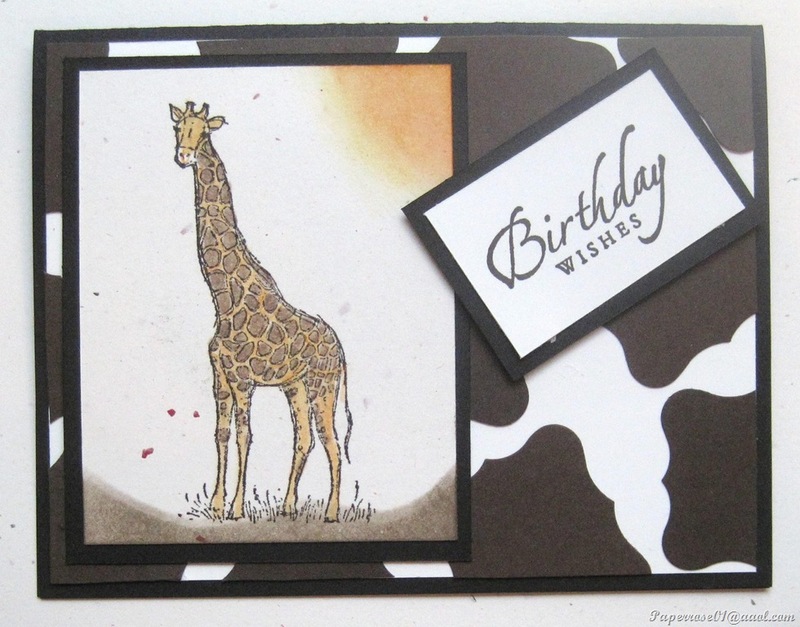 The giraffe image is stamped in Early Espresso on Confetti White cs layered on Basic Black. Sand is sponged on the bottom and a desert sun is sponged in the upper corner. Water color pencils are blended with a blender pen to accent the giraffe interesting coat. 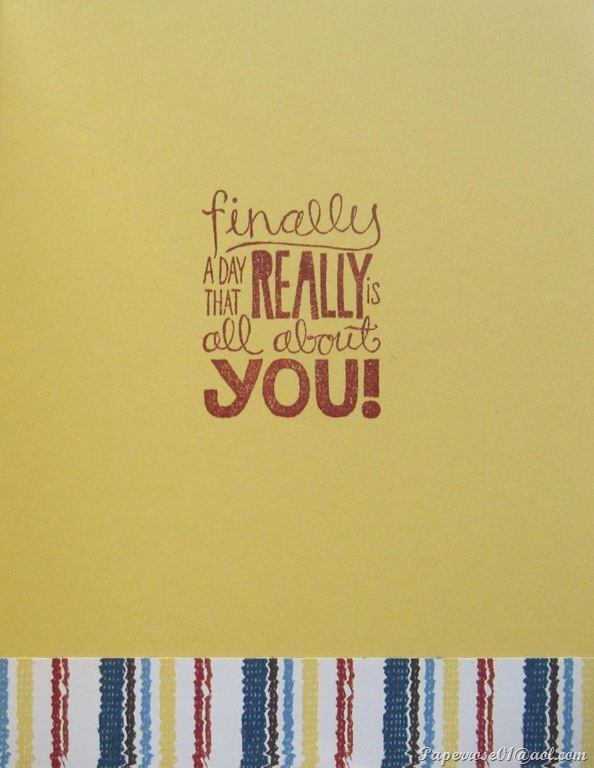 Although a birthday message is used, this card could be used for any occasion – Father’s day, a promotion, retirement, or Thinking of You. I have some exciting news about our Mostly Male Stamp Camp. Although the official date is Friday June 7th from 4 PM – 9 PM and Saturday, June 8th from 9 AM – 4 PM, for those of you who have a conflict with those days/times, you can come anytime Wednesday, June 6th or Thursday, June 7th, Everyday this week is devoted to stamping, so I can easily accommodate you on Wednesday or Thursday – just give me a call or drop an E-mail. 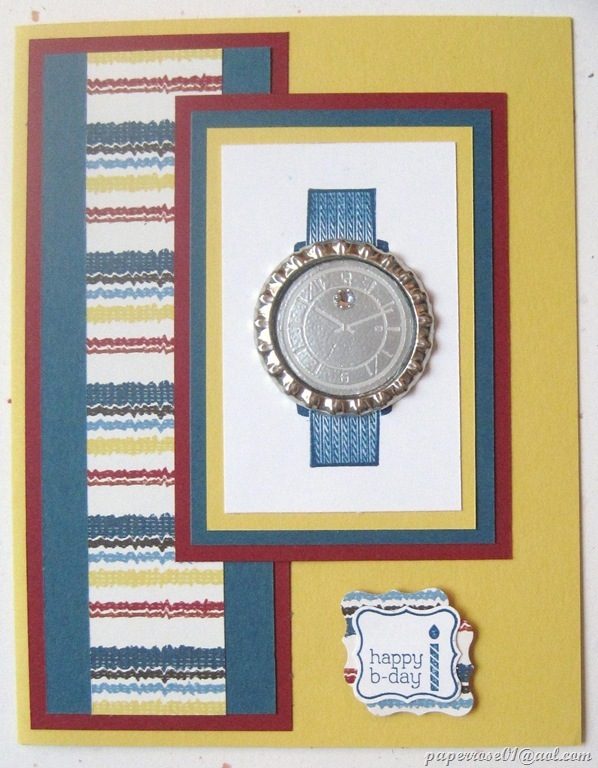 This stamp camp is a great time to make cards for men! The cost for this stamp camp is $10 and of course, all supplies are provided. All you need to bring is YOU!